Munoz said he was ‘‘upset to see and hear about what happened’’ at O’Hare. He added, however, that the man dragged off the plane had ignored requests by crew members to leave and became ‘‘disruptive and belligerent,’’ making it necessary to call airport police. The passenger who refused to leave told the manager that he was a doctor who needed to see patients in the morning, said Tyler Bridges, a passenger. Two officers tried to reason with the man before a third came aboard and pointed at the man ‘‘basically saying, ‘Sir, you have to get off the plane,’’’ Bridges said. That’s when the altercation happened. 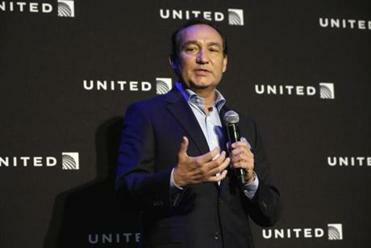 The man who was originally dragged down the aisle was removed from the plane again, and United employees made an announcement saying they had to ‘‘tidy up’’ the aircraft, Bridges said.